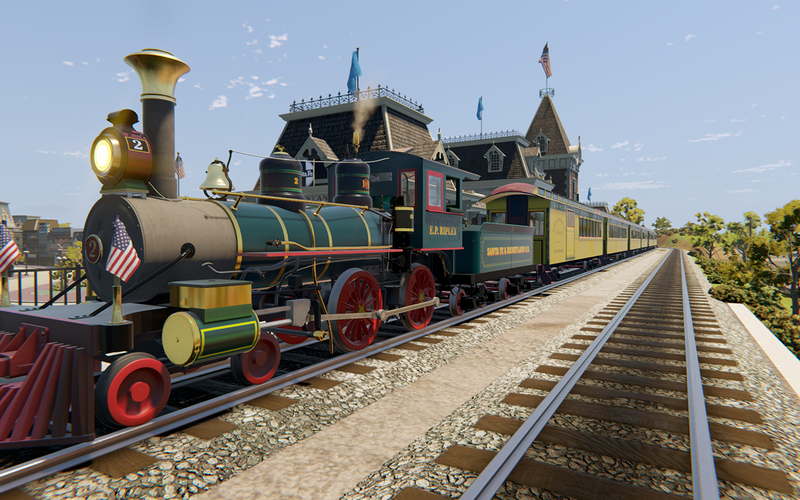 genuine steam powered locomotives—right in your own home! 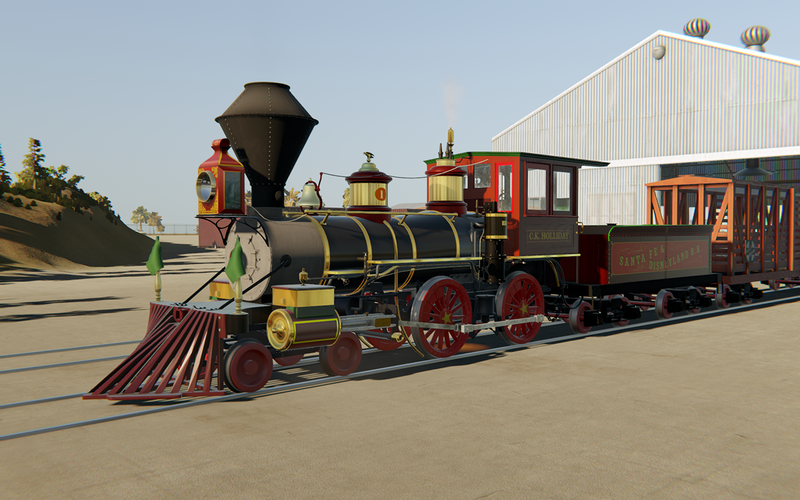 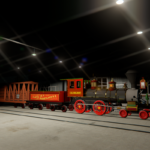 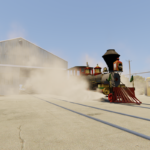 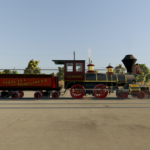 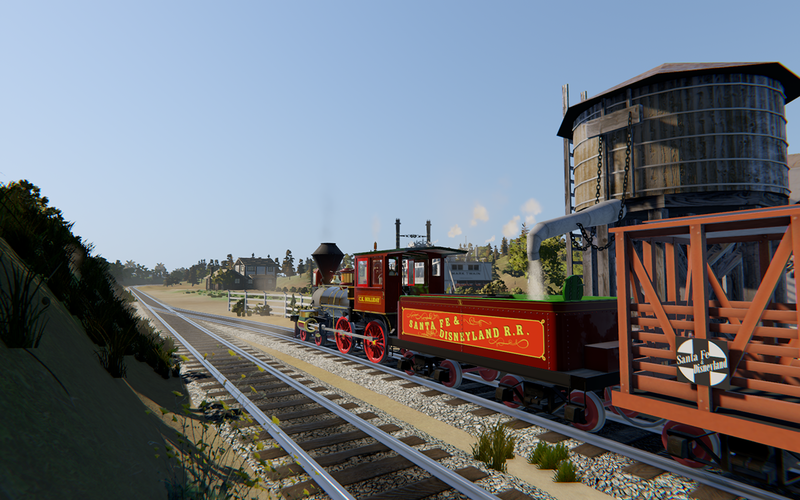 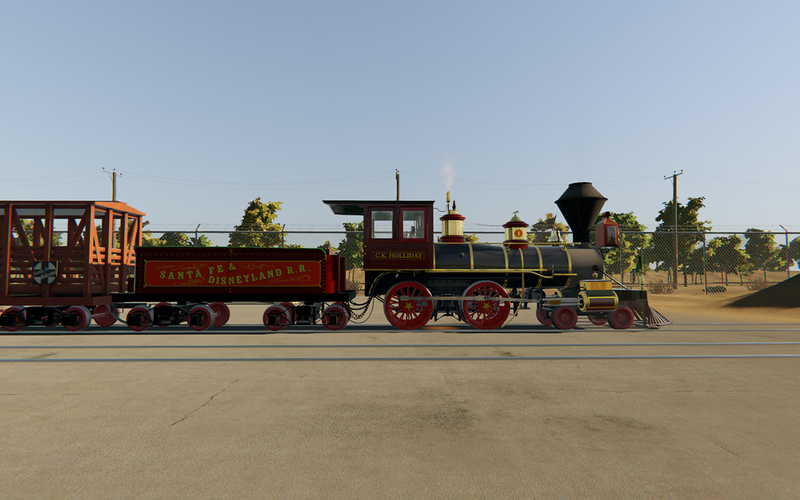 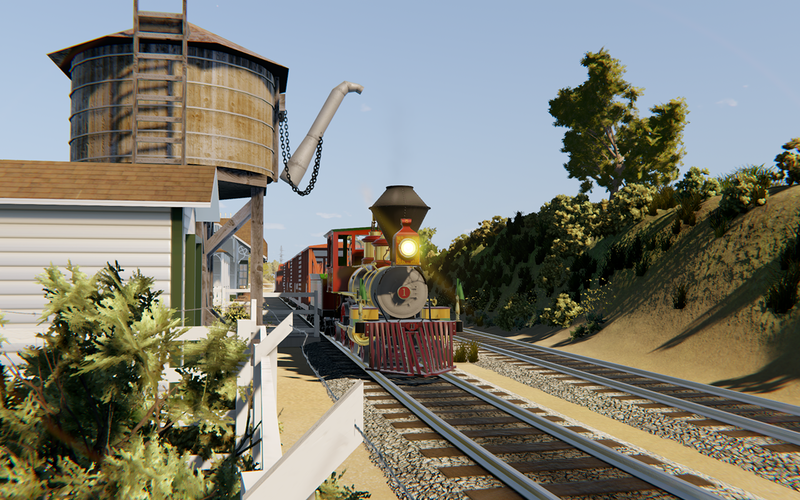 The “Steam Simulator” is the latest work from the author of the CK Holliday Engine Study Plan Book, taking what he’s learned about the engine and steam operation and brought it to life in the most realistic virtual recreation of steam locomotive to date. 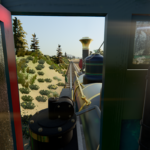 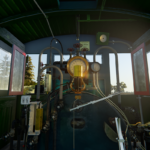 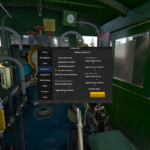 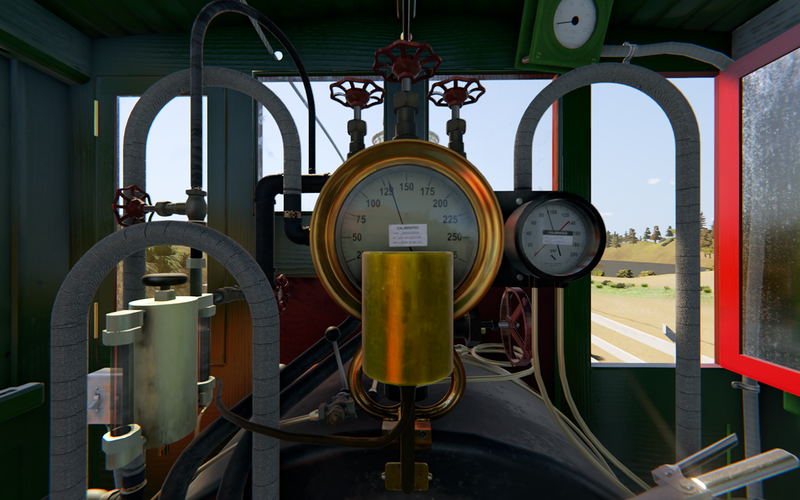 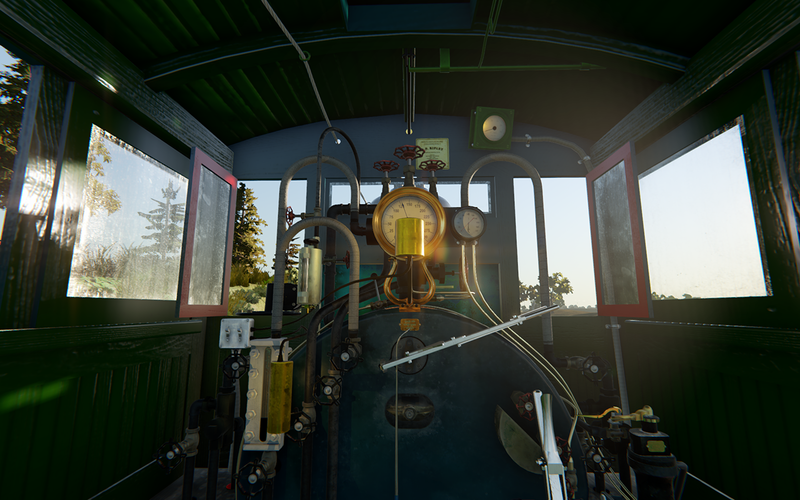 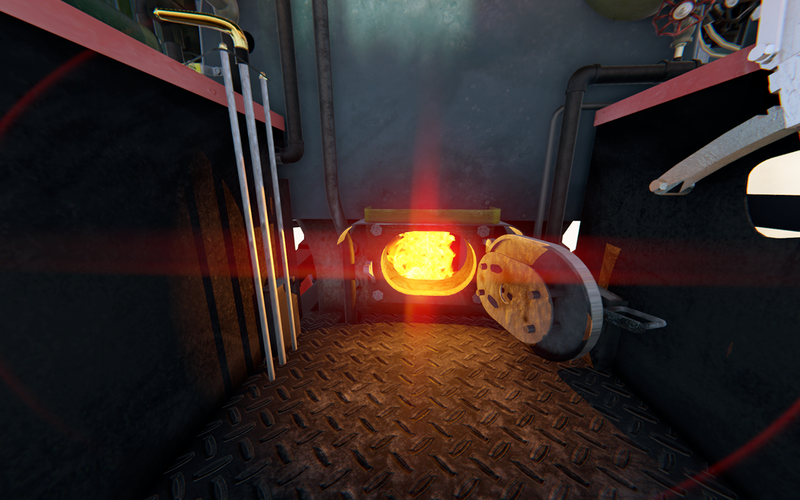 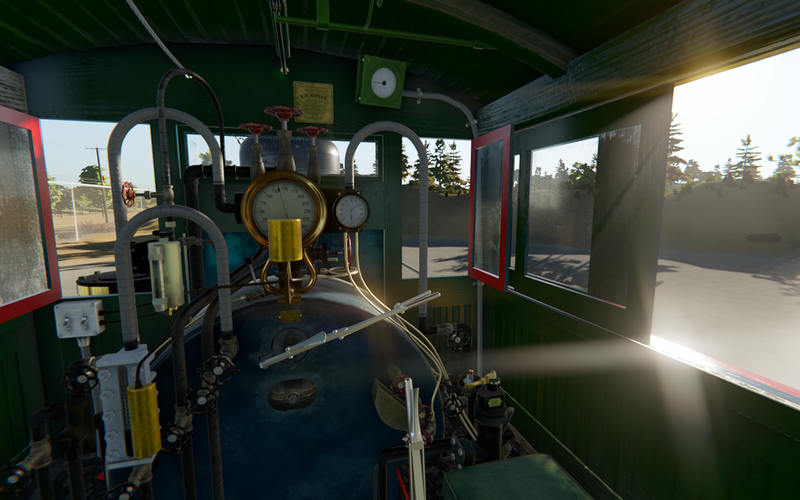 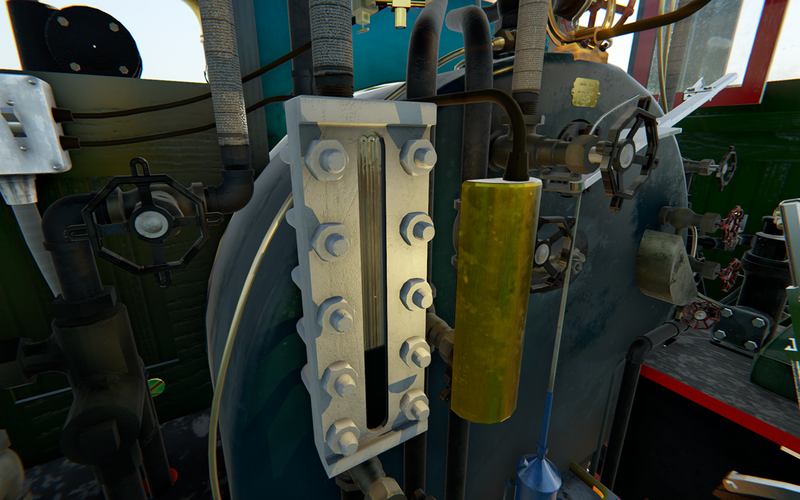 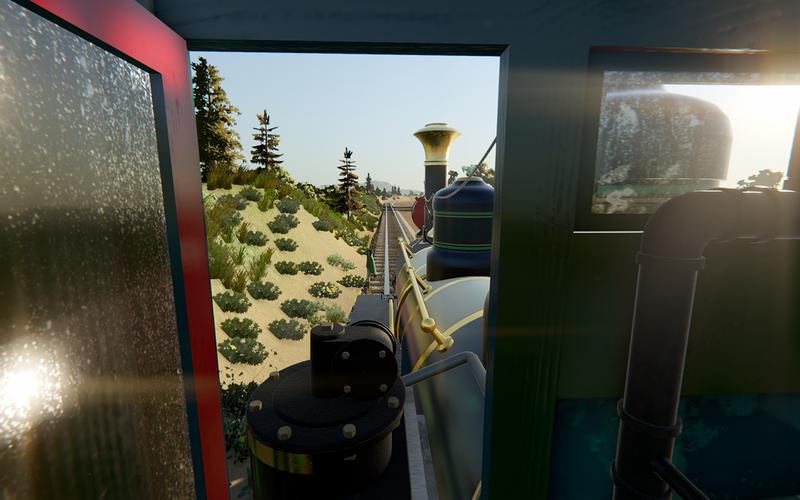 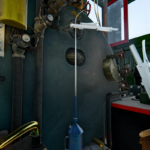 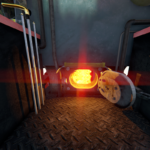 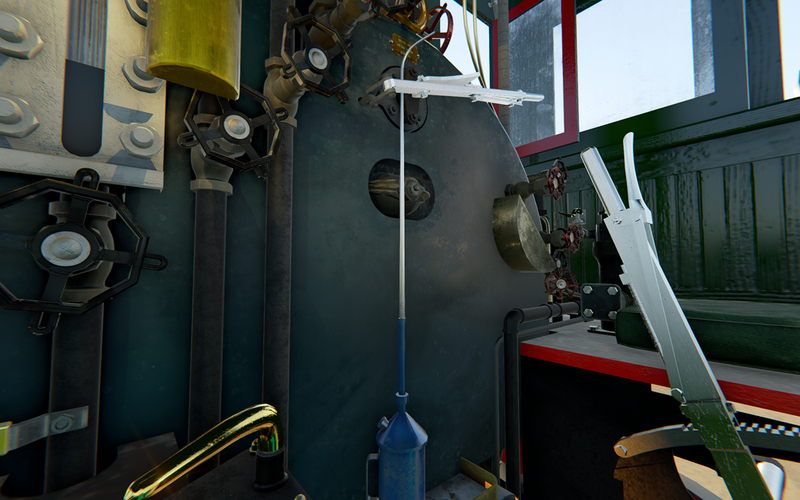 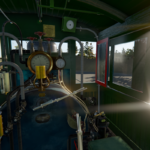 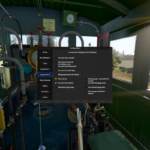 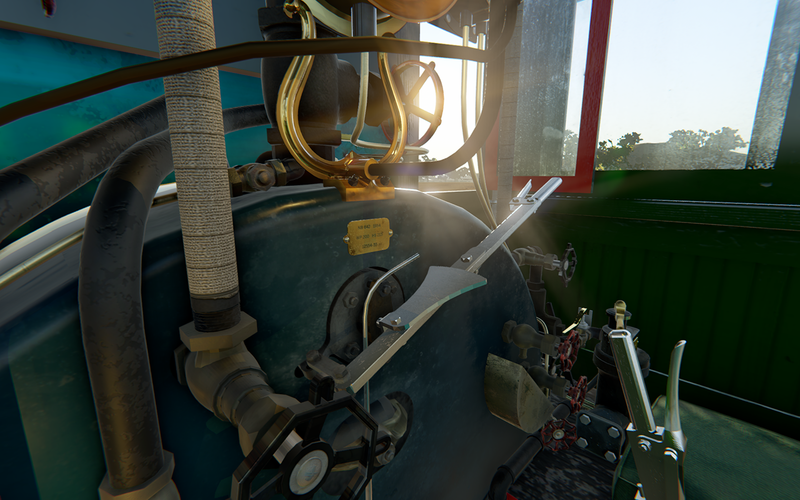 Details such as grease and bearing heating, steam condensation in the appliances, water purity and boiler priming, injector overheating and clogging, boiler insulation aging, are just some of the minor details modeled in the simulator to bring the “real feeling” of a steam locomotive to life. 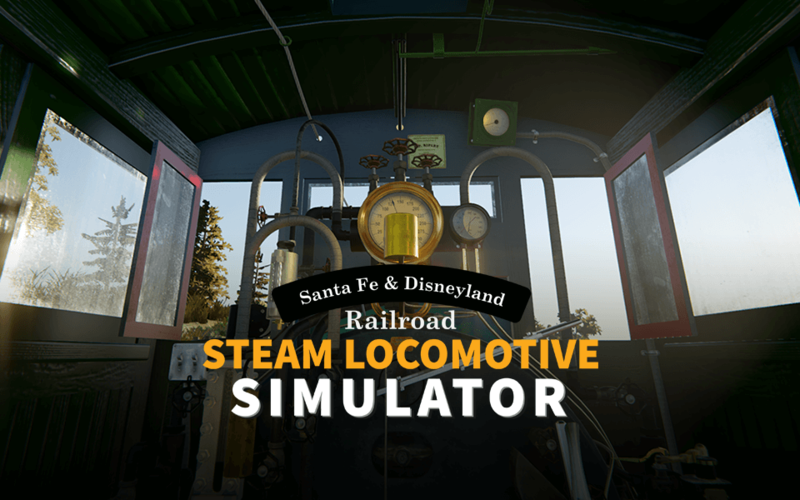 With feedback and input from crews of both Disneyland and real steam engines, the simulator aims to bring home the experience of what it’s like to be at the fire controls and throttle. 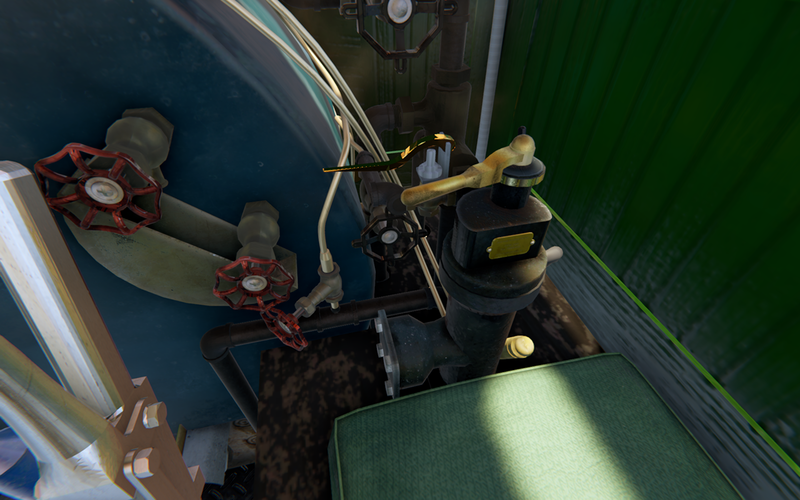 In the Steam Simulator, you’ll have to learn the same operating procedure used by the real engine crew. 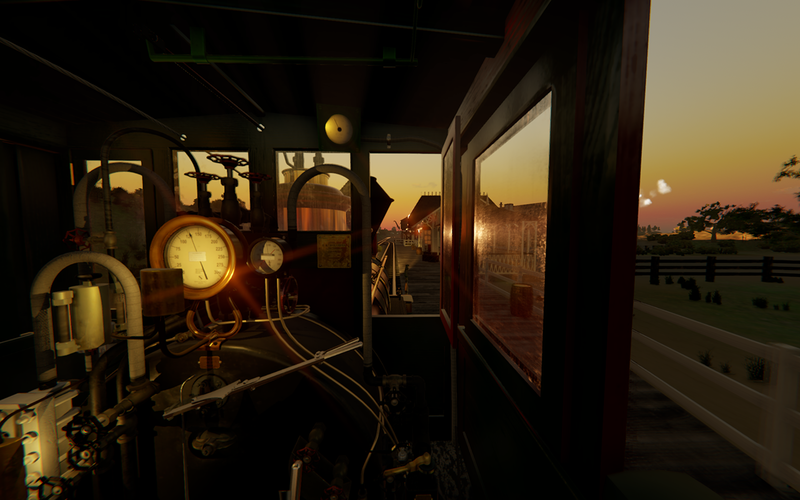 Lifelike and photorealistic 3D model of the steam locomotive CK Holliday and EP Ripley. 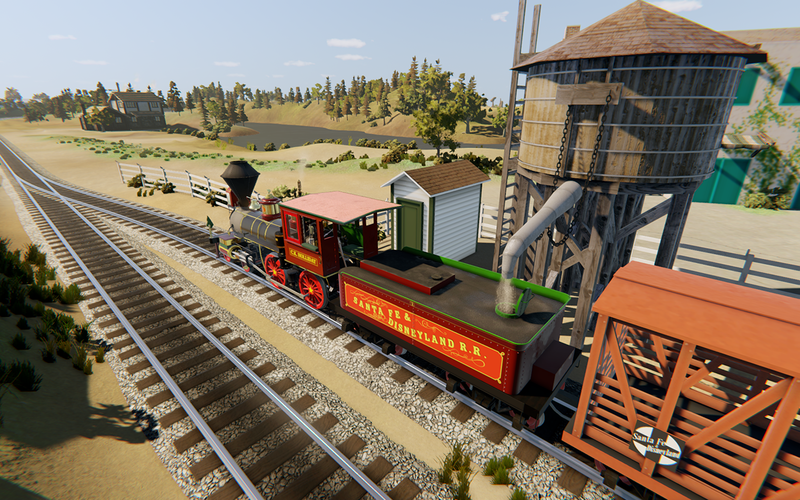 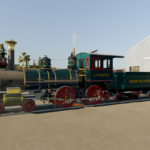 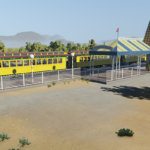 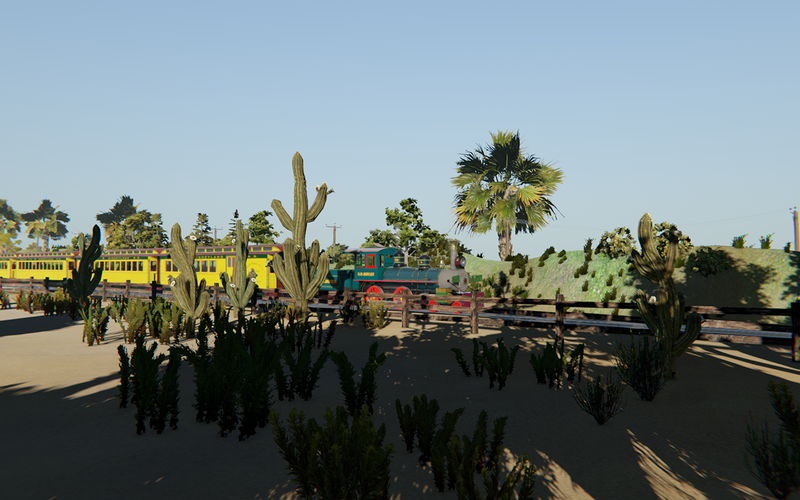 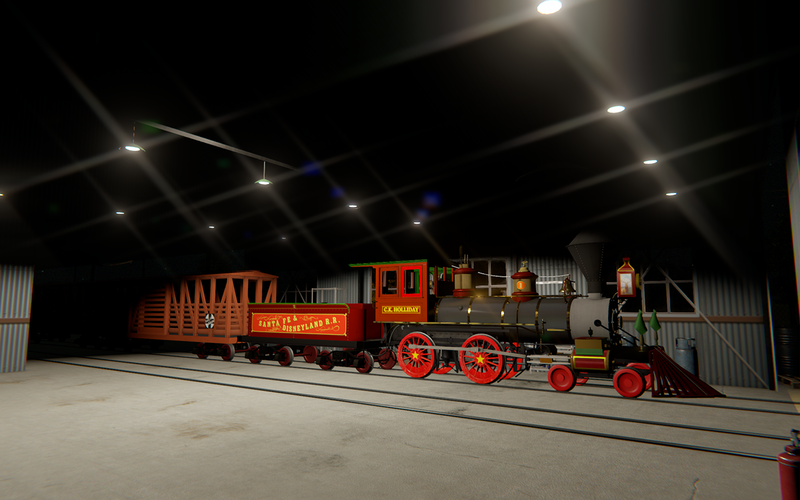 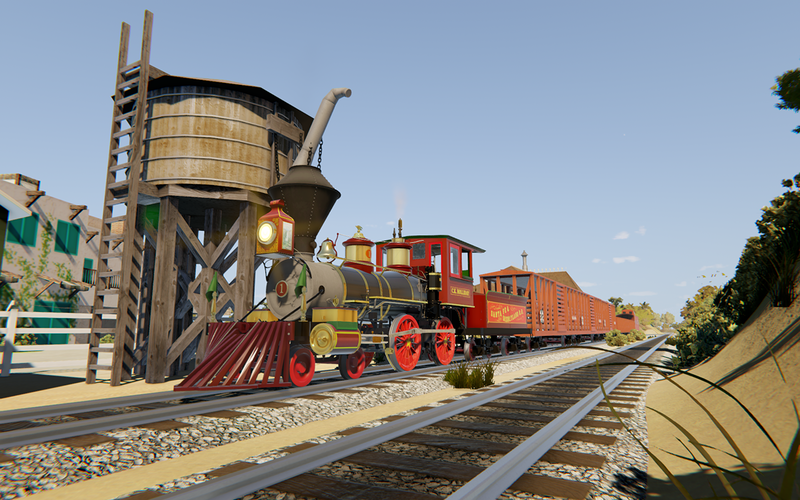 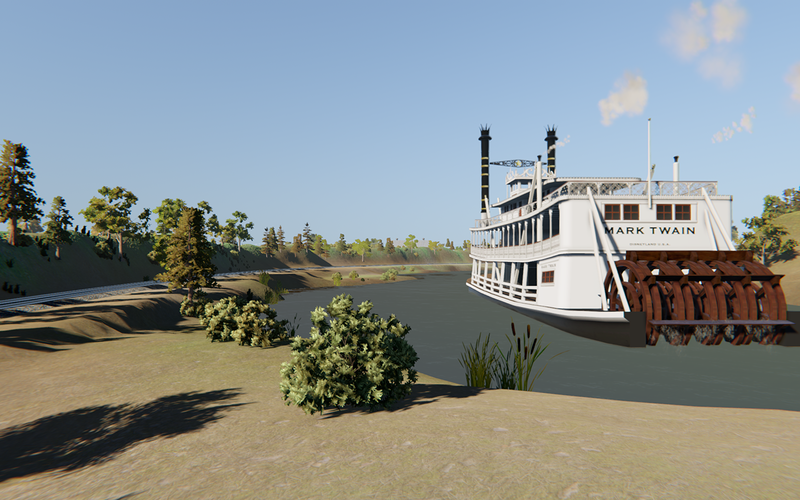 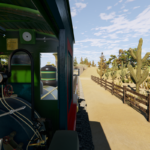 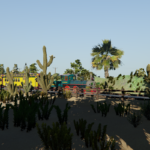 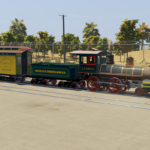 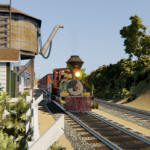 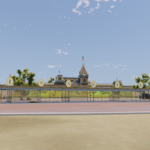 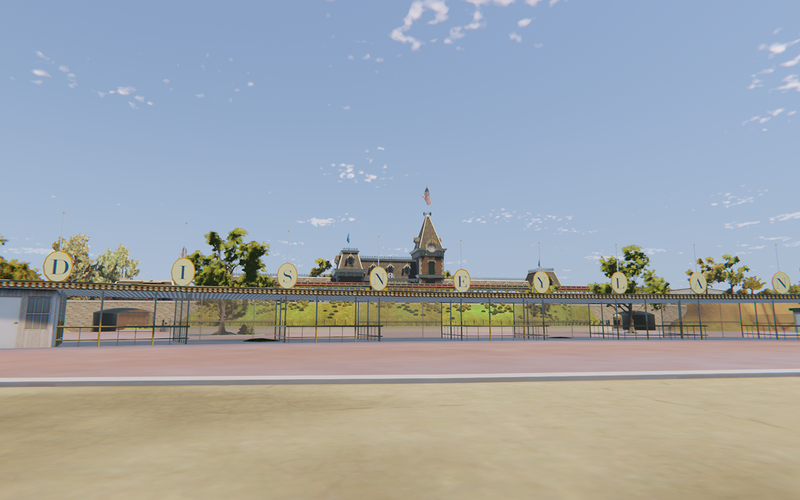 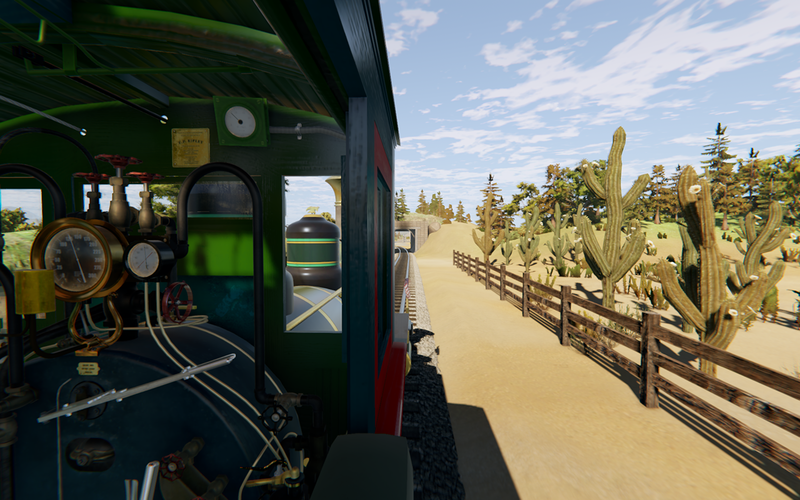 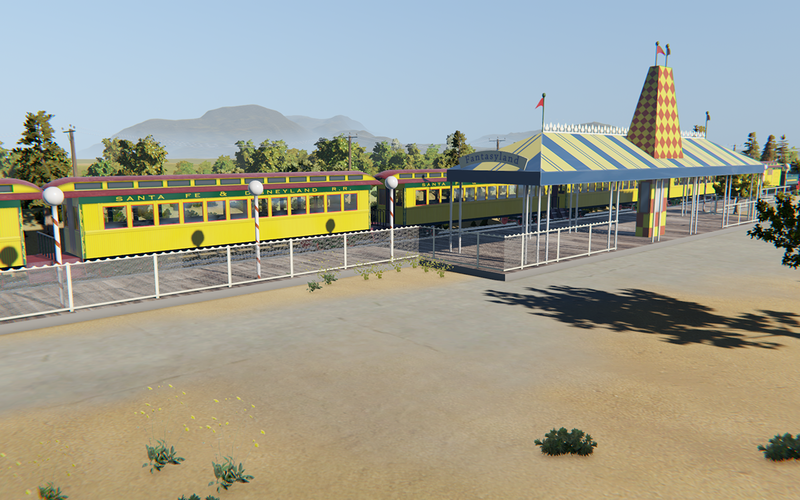 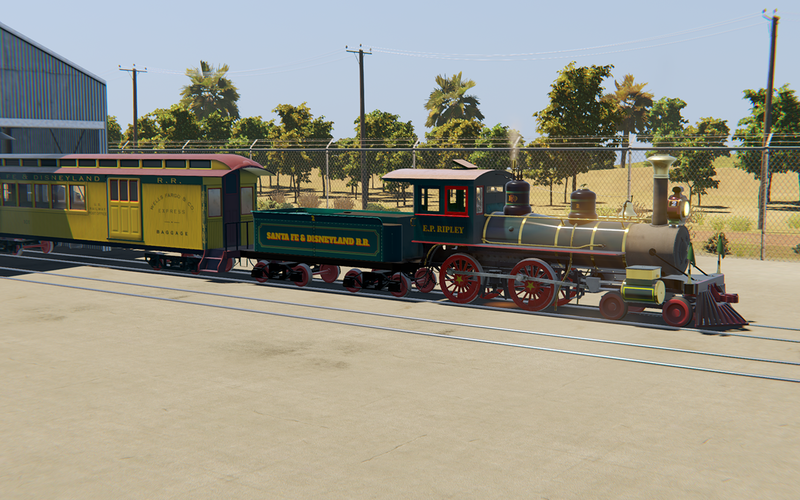 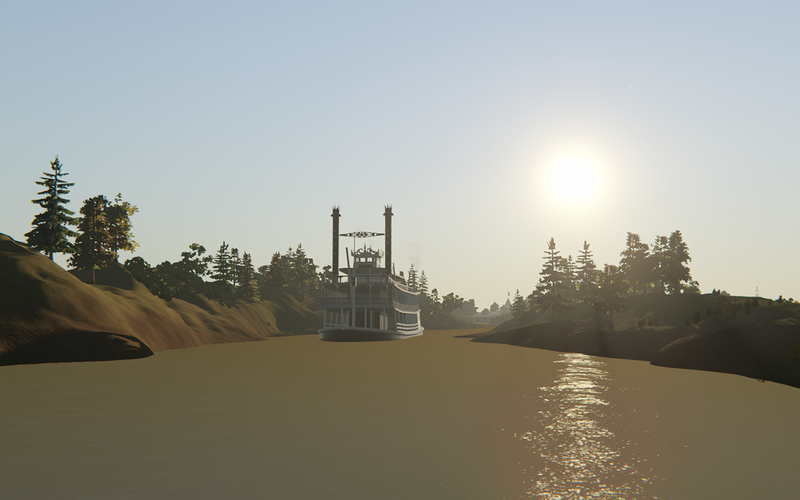 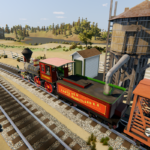 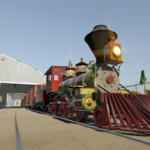 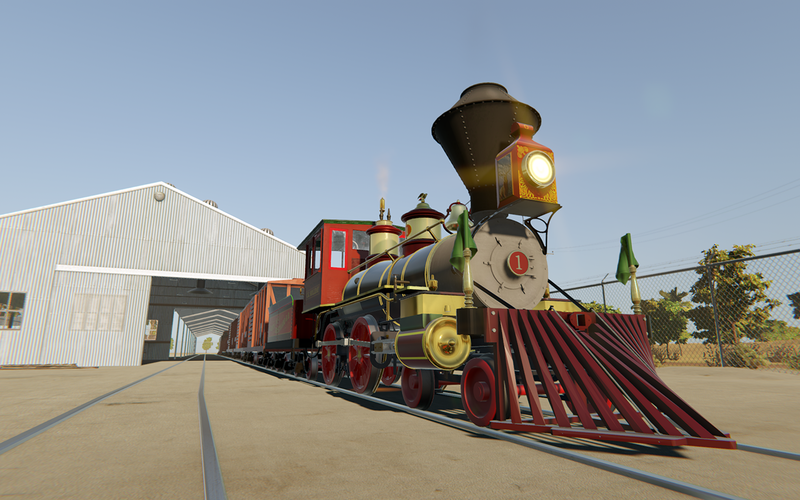 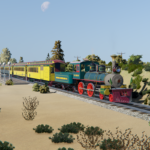 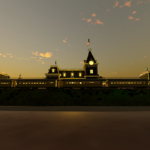 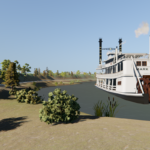 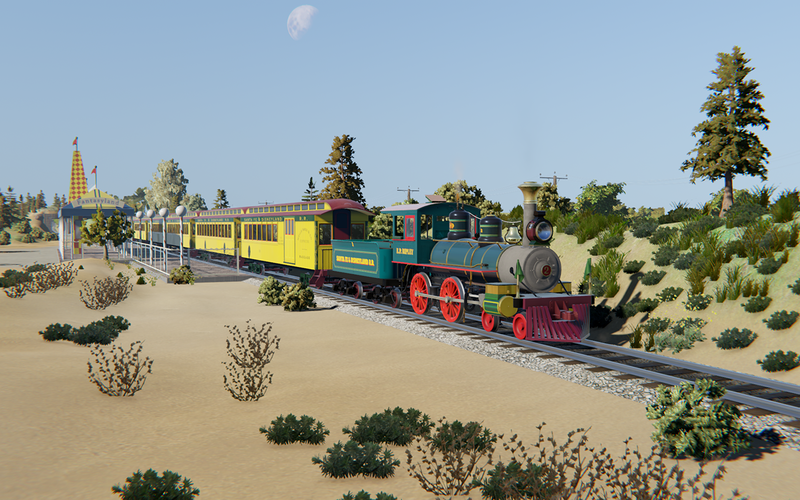 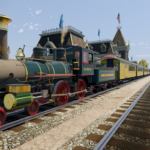 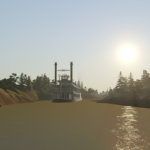 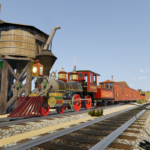 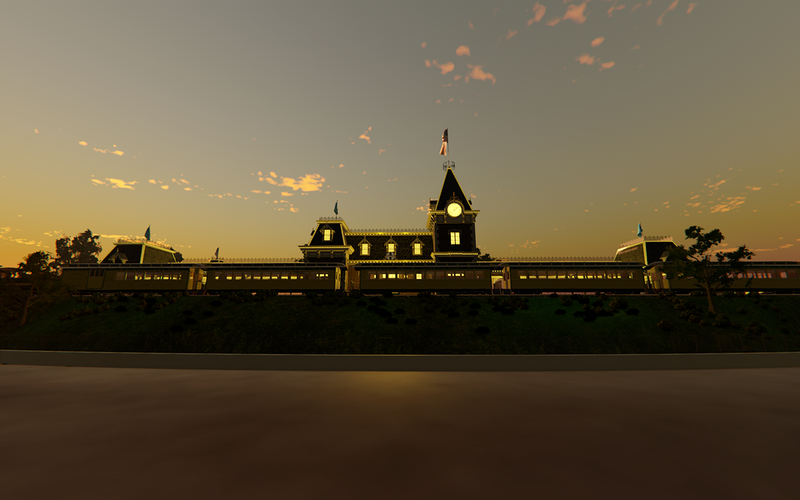 Two versions of the park allow you to run the train around Disneyland circa 1955 or circa 1956, with accurate recreation of landmarks such as the Main Street Station, Frontierland Station, Rivers of America, the Mark Twain river boat, and more. 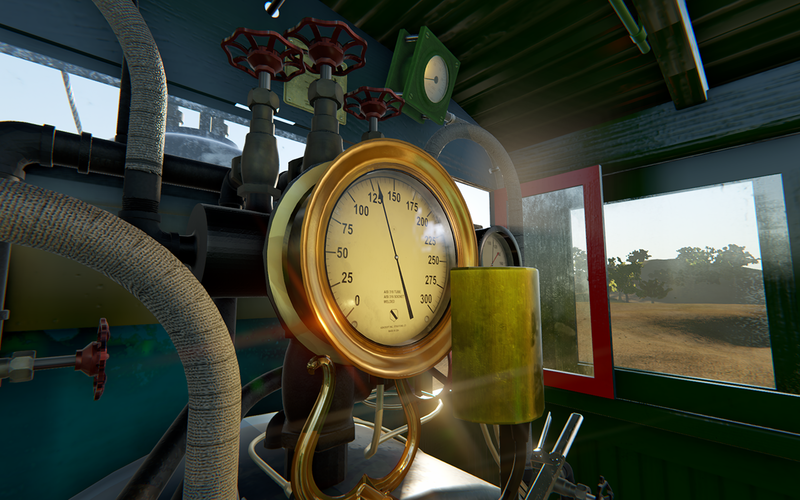 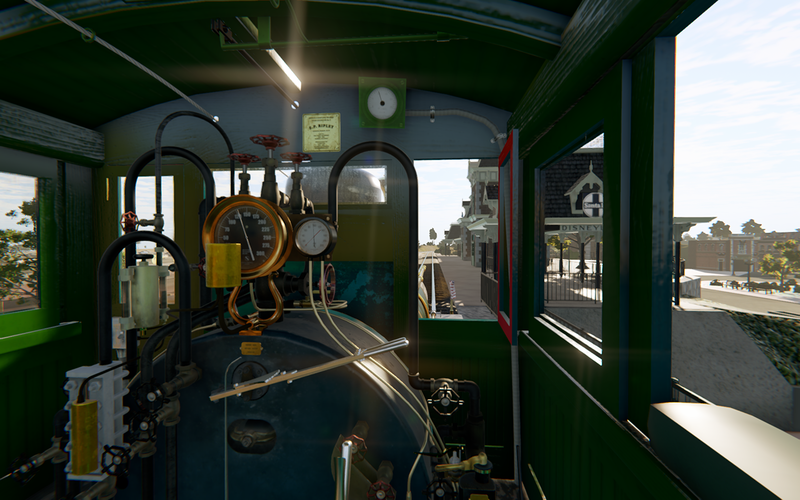 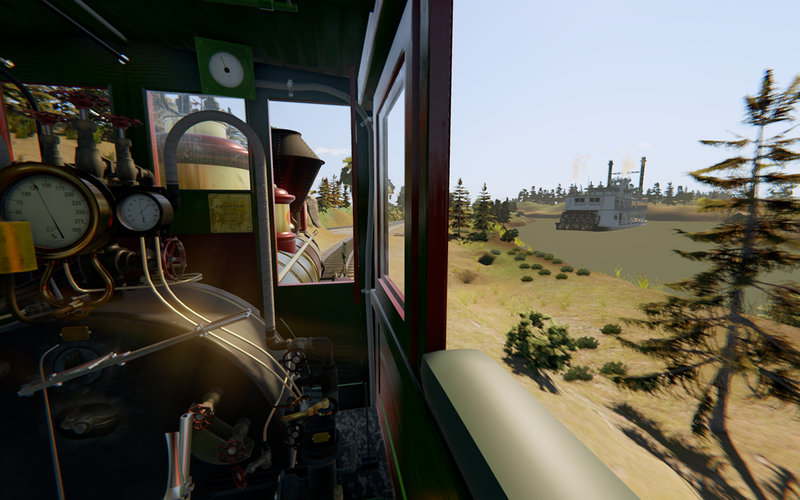 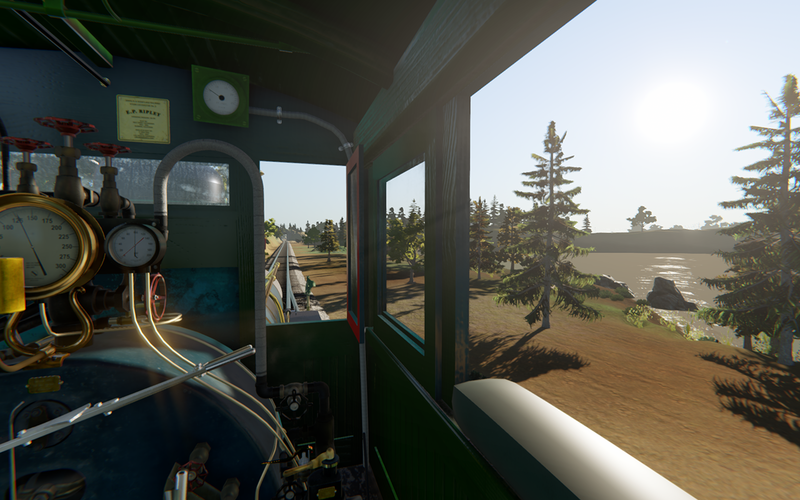 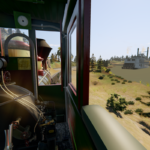 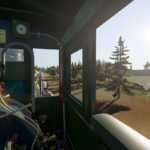 Accurate physics and cab controls bring steam power to life. 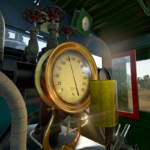 Run the locomotive as the engineer and learn how to use the throttle and Johnson Bar. 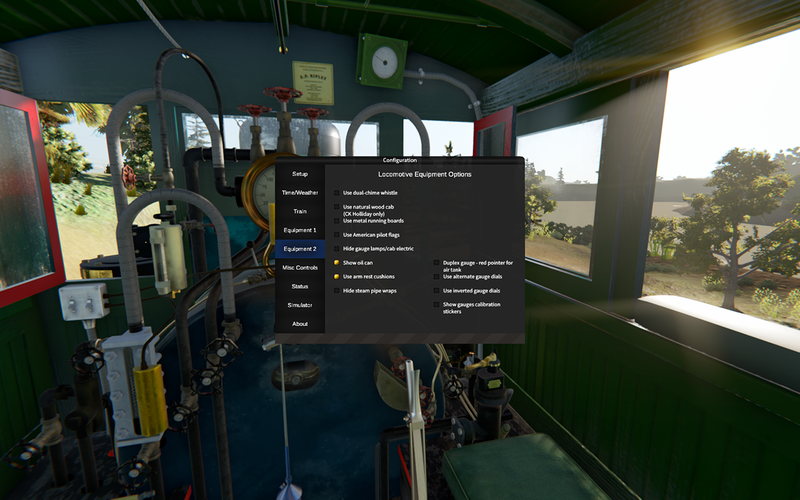 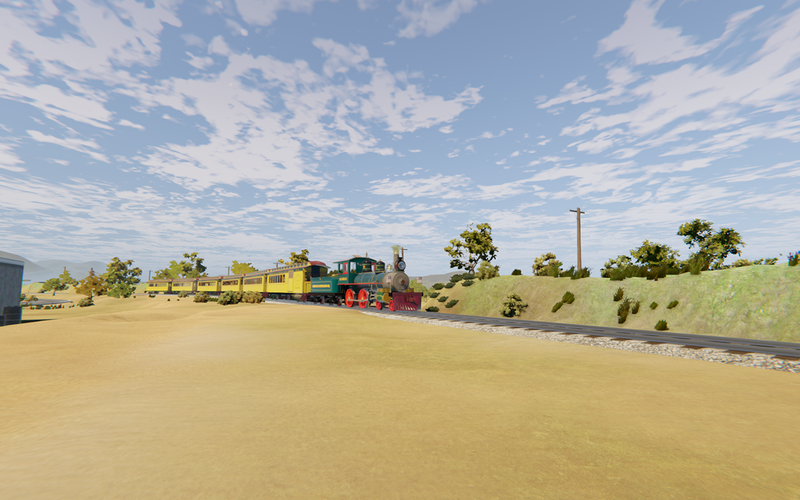 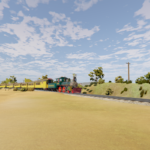 Or operate the train as a fireman, where you’ll have to manage water and fire using the same controls found on the real engine. 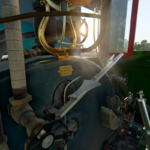 Numerous engine equipment and fitting options, such as water alarm, pilot flags, whistle type, allow you to customize the engine to your liking based on the engine’s actual fitting and equipment. 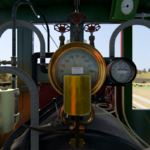 Sound effects recorded from real steam engines. 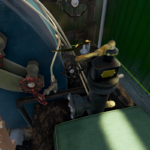 From metallic clanking of lever latches, to the continuous hissing of the atomizer and the sliding cab windows, and of course, the bell and whistle. 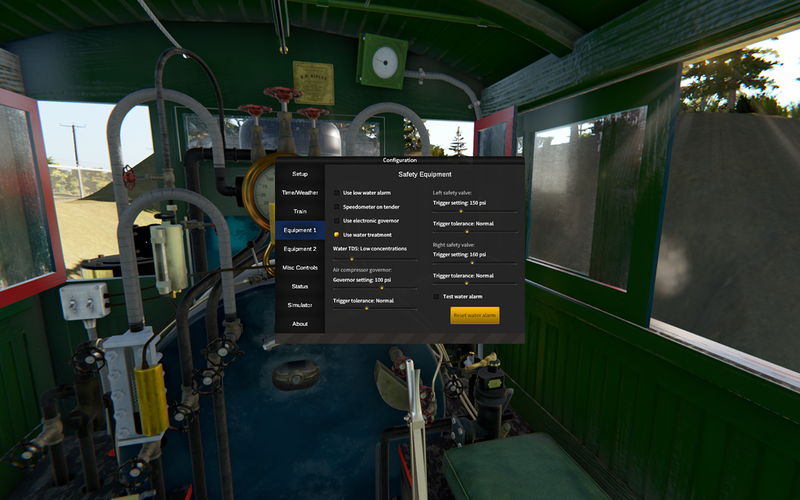 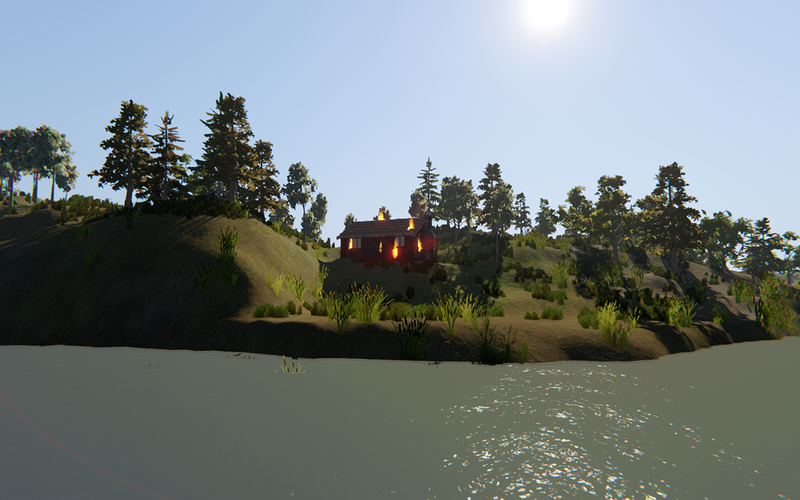 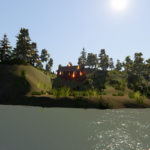 Real-time day and night cycle, with accurate depiction of celestial objects depending on the time of the year. 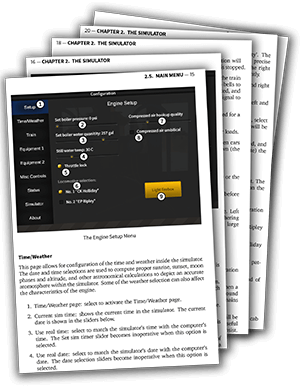 Includes an electronic manual with over 100 pages of text and illustration, covering both the theories and standard operating procedures (see side bar for more information). 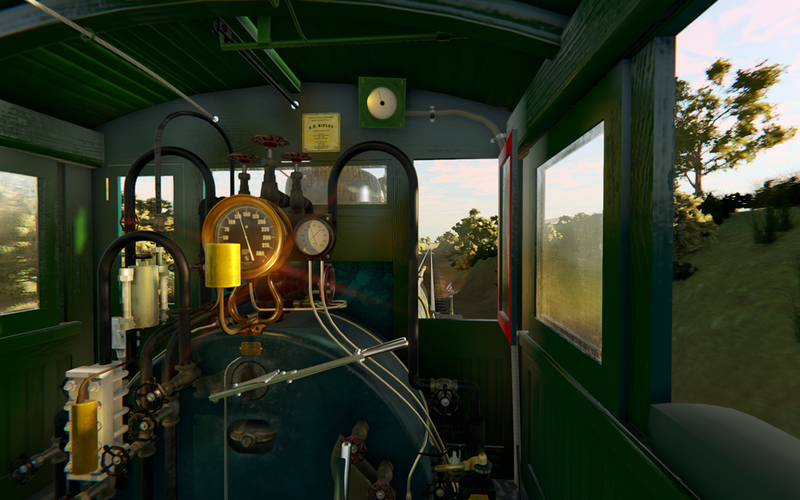 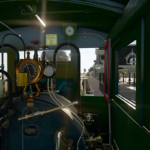 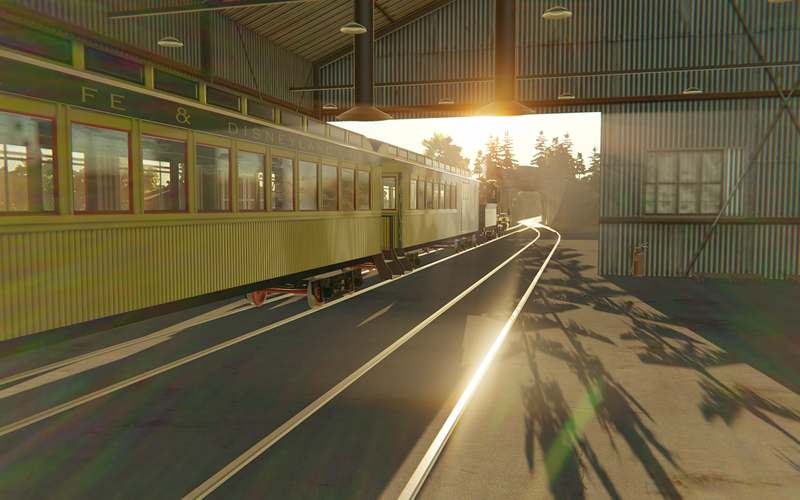 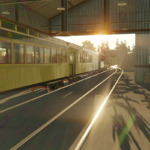 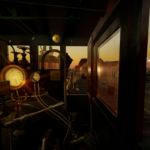 The Simulator comes with an electronic PDF manual, detailing not just how to use the simulator but also on theory and operation of steam, and how to operate the steam engine like a real-world cab crew. 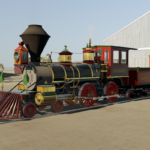 The manual covers a range of topics, including both the theories and standard operating procedures of steam, with over 100 pages of text, photos, and illustrations. 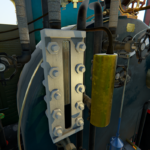 Take a look at a sample of the manual here. 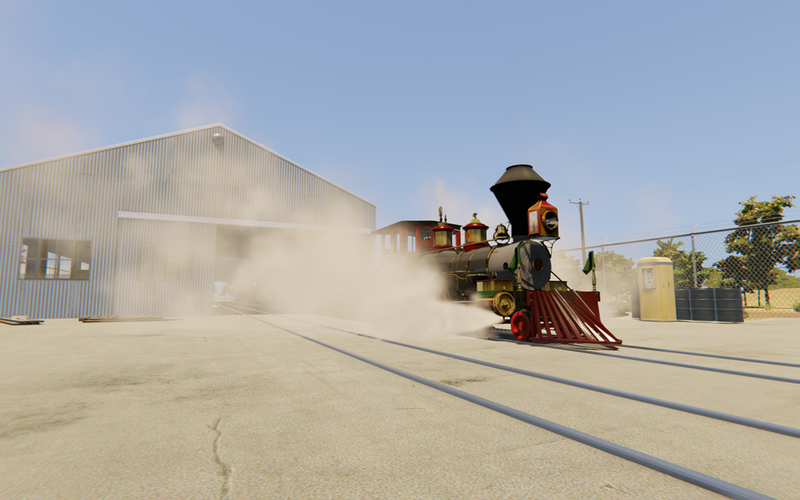 Plus shipping and handling, please allow up to 2 weeks for processing. 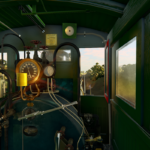 For me, the experience of firing this engine and running it is exactly as I would expect from the real thing–I felt quite at home, knowing that when I made an adjustment, say, to the fire, I’d see that adjustment reflected on the steam pressure gauge. 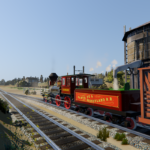 Read his full impressions here. 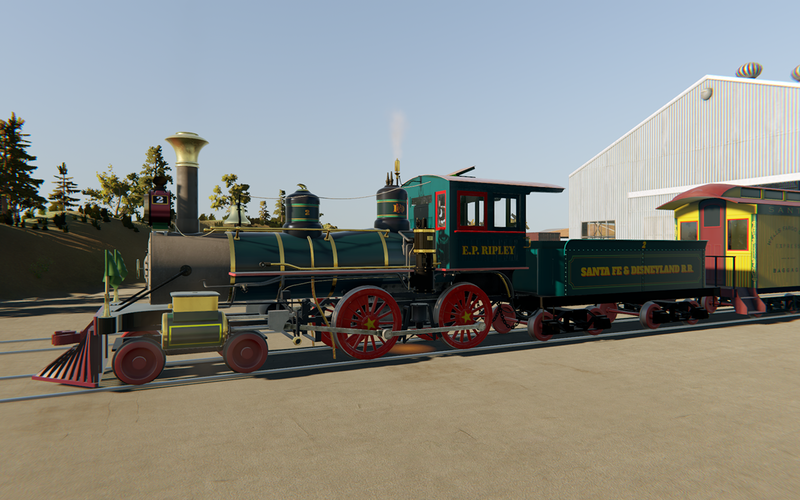 © 2019 Disneyland Railroad Steam Simulator and Plans.